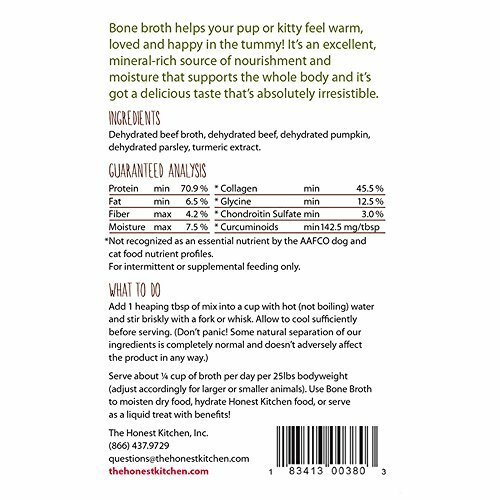 BONE BROTH: This healthy, liquid treat for both cats and dogs is made with 95% beef bone broth, plus nourishing parsley, pumpkin and turmeric. 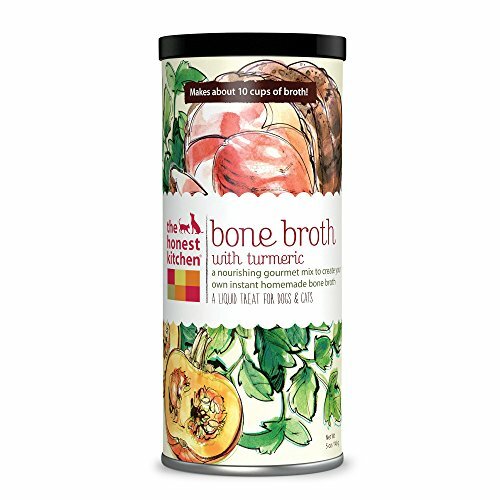 TREAT WITH BENEFITS: This broth is a mineral-rich source of nourishment that’s also a source of joint-supporting collagen & chondroitin. HUMAN GRADE: The Honest Kitchen meets the rigorous FDA safety standards to use the label ‘human grade’, ensuring the highest quality cat and dog treats. 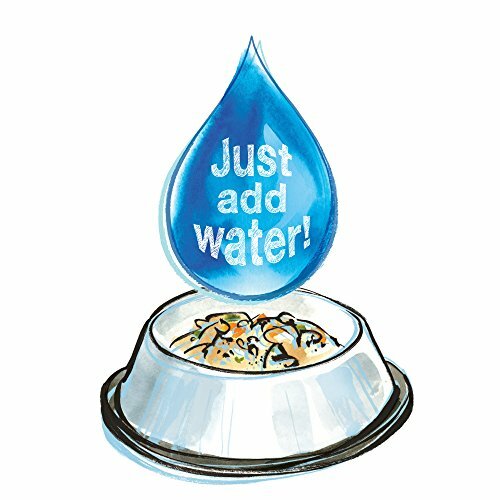 ALL NATURAL: This all natural recipe is made with no by-products, preservatives or GMO ingredients – just add water to serve as a warming treat, pour over kibble or use to hydrate your Honest Kitchen.